Lloyds Banking Group, which includes Bank of Scotland, has pledged to support UK businesses this year with a commitment to lend £18 billion to firms in 2019. In a move that it said was part of the group’s “continued commitment to help Britain prosper”, Lloyds said the announcement “underlines to existing and new businesses across the country that the group is committed to supporting UK businesses through 2019 and beyond”. 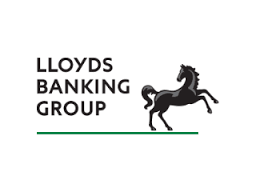 The lending commitment is backed by an advertising campaign highlighting that Lloyds Banking Group, in a clear reference to Brexit, said is “by the side of British business whatever the future brings”. The lender added that the £18 billion will support entrepreneurs looking to start a new business, micro-businesses seeking to scale up and small businesses considering trading internationally for the first time. It will also support established mid-sized businesses and large, multinational corporations seeking further growth. Last year Lloyds launched initiatives such as the creation of the £500 million growth fund to help firms invest in equipment which improves their productivity, backing the Lloyds Advanced Manufacturing Training Centre with an additional £5 million to help train 3,500 manufacturing apprenticeships, and also the swift creation of a £50 million fund to support small businesses within the Carillion supply chain. The group also reinforced its support to the UK housing sector by launching a £500 million fund for housing associations last year, supporting the Government’s pledge to deliver 300,000 houses each year by the middle of the next decade. It also committed £750 million in 2018 for social housing projects, contributing to the Group’s commitment to enable more people in Britain to get a home.